Angels are a blessing and are a perfect addition for adding that heavenly look to the home. 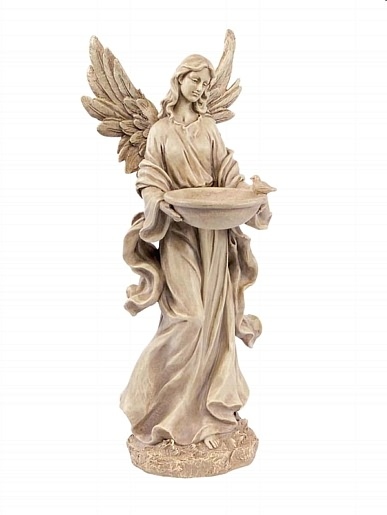 Our angel statues selection highlights this garden angel statue sharing her moments with a little bird perched atop her bird bath. She is created with detail and comes beautifully finished with wings outstretched.